Our product range includes a wide range of coolant additives, coolant antifoam, coolant coloring agent, coolant rust inhibitor, coolant thickener and fluorescent dyes. Chemtex Speciality Limited is involved in the formulation of an entire range of Coolant Additives that are necessary for formulating Coolant Antifreeze agents. 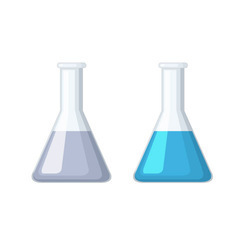 These additives include products like Glycols, supplemental coolant additives, corrosion inhibitors, fragrance, dyes, thickener, defoamer, preservatives, lubricity enhancer, etc. Chemtex Speciality Limited helps in managing knowledge more effectively at a time of rapid technological advancements and also guides for faster innovation. The key products included under Coolant Additives deliver proven effects to a wide range of formulations. The Coolant Additives offer its help to the industrial equipments in producing superior performance by rendering them protection from rust, sludge and scale deposits and any contamination in the radiator. Corrosion Inhibitors are used in the composition of these Coolant Additives during processing so as to ensure perfect protection to equipments from rust attack. Chemtex formulated product Coolant Antifoam is based on silicone emulsion that is specifically designed in such a way so that it can provide optimum antifoam performance combined with excellent dilution stability and foam knock down performance. These are used as preventive antifoaming agents at small dosage in coolant formulations. To accelerate dispersion in the foaming medium, Coolant Antifoam should be diluted with water before using it. Normally the acceptable method of dilution is to add water to the emulsion and not vice versa. While diluting the solution, excessive shear should be avoided. 50ml/ 100ltrs of coolant in the engine are recommended for coolant manufacturing. The Coolant Antifoam is for the purpose of reducing and preventing the formation of foam at the time of industrial process liquids. 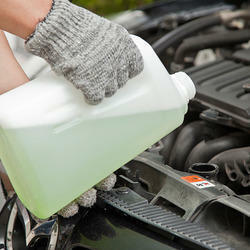 This Coolant Antifoam formulation is processed from the agents like silicones, insoluble oils, alcohols and glycols. The Coolant Antifoam formulation has the necessary characteristics for the prevention of the foam formation, breaking the already formed foam, great affinity to the air-liquid surface, low viscosity, highly stable at wide pH range, easy dispersion in aqueous system and superior foam control persistence. These defoamers are perfectly utilized for various liquid processing in food, beverage, pharmaceutical, sugar industry, petrochemical and meat processing. Chemtex formulated product Coolant Coloring Agent is specifically designed to be utilized for detecting the leaks in the cooling systems. These dyes are highly soluble in water and can be easily incorporated into formulations. The different products which are catered under Coolant Dye are Green Coolant, Blue Coolant, Red coolant, Pink Coolant etc. These formulations provide a long term colour stability that resist fading away with time and also provides protection against corrosion. Our dyes are extensively appreciated for their unique attributes such as easy to apply, excellent removal of guesswork, precise pH value, economic, and precise location of leak. With Ultra Violet protection methodologies, the dyes are suitably utilized for detecting the leaks in radiators, hoses, water pumps, cooling systems and fittings. Chemtex Speciality Limited manufactured product Coolant Rust Inhibitor serves as a specially formulated (nitrite free) chemical additive for Mono Ethylene Glycol to provide protection to the system metals from corrosion. It is a multi-metal corrosion inhibitor and prevents corrosion in multi-ways. Coolant Rust Inhibitor modifies metal surface by absorption and making it less susceptible to corrosion. It buffers the organic acids formed as a result of glycol oxidation and prevents further formation of acids. This product protects the metal surface from corrosion without reducing the heat transfer efficiency of the system. Mono Ethylene Glycol oxidizes when exposed to air and heat. When this occurs, five organic acids viz., Glycolic, Glyoxalic, Formic, Carbonic and Oxalic Acid are formed. If not properly inhibited, this fluid gets very corrosive. These organic acids then chemically attacks and corrodes the system metal, causing pitting, pinhole and stress cracking corrosion. Coolant Rust Inhibitor is added to Ethylene Glycol to act as buffer, preventing low pH attack on the metals. It also helps in passivating the metal surface to protect them from corrosion. Chemtex Speciality Limited manufactured product Coolant Thickener serves as an organic product derived from plant extracts to impart a cosmetic effect to the aqueous solution by enhancing the thickness of a water / glycol based industrial / automotive coolant. Coolant Thickener has been designed in such a way that it will not have any side effect on the metals (aluminum, copper, cast iron, steel etc. 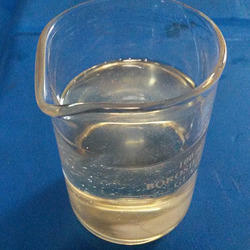 ), rubber hoses, seals and other engine component and will pass through the glassware corrosion test. In addition, the product also has a significant advantage that it looses its thickening properties when it is added to the engine. This helps by not causing a high pumping load on the radiator. Chemtex’s Fluoroscent Dye is an excellent coloring agent for glycol/water based coolant for the purpose of easy leak detection that can be easily detected in normal day light and also glows in presence of UV light. The Coolant Dye serves as a dye to be utilized in detecting the leaks in the cooling systems. Its unique attributes as follows have brought extensive appreciation. The use of UV Protection methodologies helps the dyes in locating the leaks in water pumps, radiators, cooling systems, hoses and fittings. They play a vital role in functioning as coolant identifiers. These dyes can be used in various types of heat transfer fluids and function as excellent leak detectors. 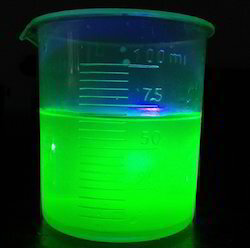 Fluorescent dyes exhibit feature to glow in presence of UV light. Chemtex Speciality Limited is an ISO 9001, ISO 14001 and OHSAS 18001 certified manufacturer and supplier of Fluorescent Green Color Dye. We have been in this field of chemicals for over a period of 40 years and we will continue to extend our services towards enriching the circadian operations of other industrial sectors. 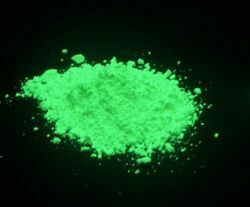 Fluoroscent Powder Dye serves as a dye to be used in detection of leaks in the cooling systems. The unique characteristics like easy to dose, economical, precise pH value and precise position of the leak have brought us extensive appreciation. 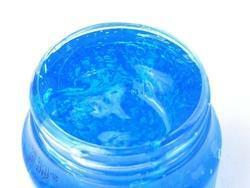 These dyes are also designed to produce a green fluorescence when exposed to UV light. The use of Ultra Violet Protection methodologies help the dyes in locating the leaks in water pumps, radiators, cooling systems, hoses and fittings. 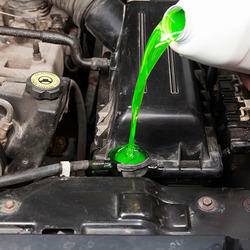 Fluorescent Green Color serves as a coolant coloring agent that is used for the purpose of leak detection. 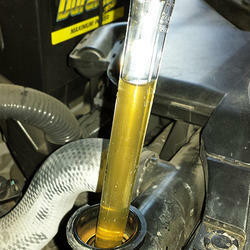 Coolant dyes play a vital role in functioning as coolant identifiers. 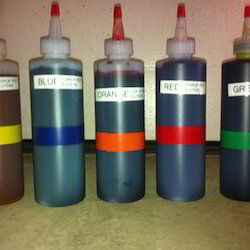 These dyes can be used in various types of heat transfer fluids and function as excellent leak detectors. Phase Change Material can be referred to as a substance having a high heat of fusion, melting and solidifying at a certain temperature; efficient in storing and releasing large amounts of energy. PCM is also referred to as latent heat storage unit as the heat is released or absorbed whenever the material changes from solid to liquid and other way around too. Chemtex Speciality Limited offered product Phase Change Material has a wide number of usage in chemical industry as they have the capability to melt congruently have they freeze without super-cooling, chemically stable, recyclable. The products which we cater under this category are PCM Gel, PCM Salts, Eutectic Salts. Chemtex Speciality Limited, an ISO 9001, ISO 14001 and OHSAS 18001 certified, specializes in organic compounds product. It has also established itself to be among world's renowned organic compounds exporter having its facility in India. 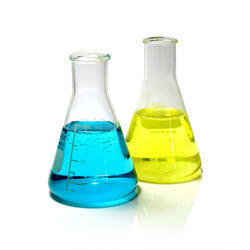 Your search for good quality organic compounds supplier ends here. Chemtex offered product Nalfleet 2000 serves as a multifunctional blend of nitrite based corrosion inhibitors designed to be used for engine system. It helps in preventing corrosion or rusting of metal by forming a passive coating of protective film on the metal surface. 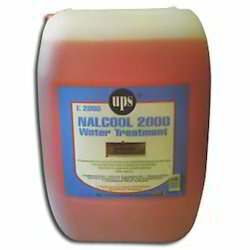 Nalfleet 2000 consists of a combination of ferrous and non-ferrous corrosion inhibitor, non-carbonate buffer, dispersant, scale inhibitor, and leak detection dye. Supplemental Coolant Additives for Heavy-duty Diesel Engines used for formulating coolant antifreeze (Heat Transfer Fluid) for water based coolant formulations for multi-metal cavitation prevention. It prevents metals like Copper and Cu-alloys, Aluminium, Steel, Cast Iron from corrosion. It is compatible with seals, o-rings, rubber hoses, and other radiator engine components. It can be used as a supplemental additive for adding to the existing coolant and/or water solution for extending coolant life. Supplemental Coolant Additive is a nitrite-borate based corrosion inhibitor formulation for use in both glycol based and/or water based coolant antifreeze/ heat transfer fluid for multi-metal cavitation prevention. Coolants formulated with the same conforms to ASTM standards. It prevents metals like Copper and Cu-alloys, Aluminium, Steel, Cast Iron from corrosion. It is compatible with seals, o-rings, rubber hoses, and other radiator engine components. It can be used as a supplemental additive for adding to the existing coolant and/or water solution for extending coolant life. Looking for Coolant Additives ?